Prayer is arguably the most powerful and effective weapon we have in the battle against poverty. Without it, all our efforts to help the poor would be meaningless. Become one of Compassion's Prayer Partners and lift up the needs of Compassion-assisted children and staff to our Heavenly Father. Our Prayer Partners are a vital part of our ministry at Compassion. As one of Compassion's Prayer Partners, you join a network of people committed to interceding on behalf of children in poverty all around the world. Tens of thousands of people are praying daily for those the Bible calls "the least of these." While it's true that a child who is hungry will have trouble hearing a spiritual message, just meeting the physical need and feeding the child is not enough. Our Prayer Partners add an integral spiritual dimension to our ministry. Compassion's Prayer Partners have the opportunity to play one of the most life-changing roles in a child's life ... that of bringing their needs to the Lord. Could it be that God's tugging at your heart to join them? For children living in poverty, there is often no safety net. Hunger, disease and disaster are constantly pressing in. That's why prayer matters so much. When faced with the challenges posed by poverty, prayer is a lifeline. Every month, our staff around the world sends us prayer requests on behalf of the children we serve. The requests are for children who are sick, for families that are fractured, for the lost to be found — for miracles. It is an honor to lift up those requests. And we want to invite you to join us in praying for children in poverty. As a member of Compassion's Prayer Network, you will receive a monthly calendar filled with daily requests from around the world. To join this powerful movement, simply fill out form to the right or click the button below. 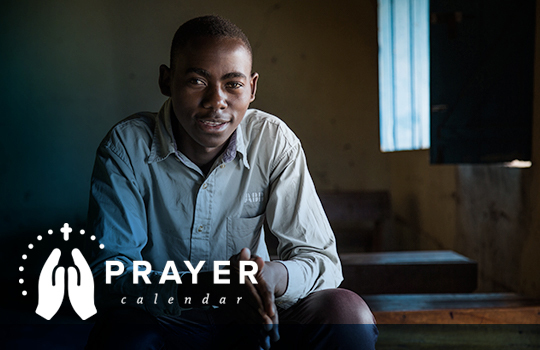 Want to receive Compassion's monthly prayer calendar by email? Sign up below! The International Day of Families is an occasion to celebrate the importance of families to people, culture, and the international community.